One restaurateur in India is fighting local hunger in a big way. 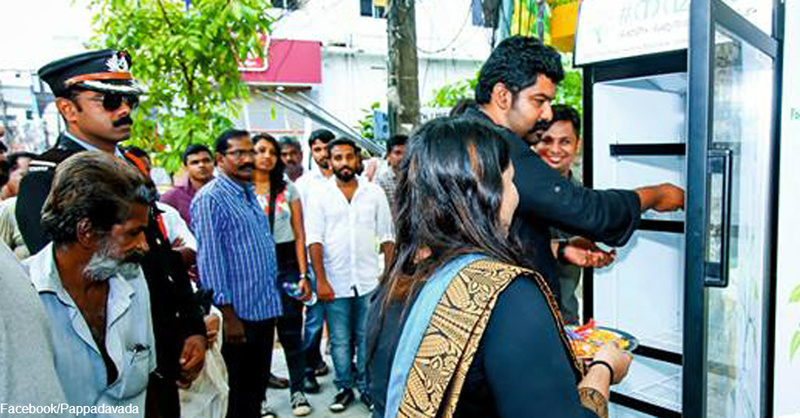 When Minu Pauline saw homeless and hungry people scouring her Kochi, India, business’ trash for food, it broke her heart, but more importantly, it led to her placing a refrigerator in front of her restaurant so people who were hungry could get free food. The refrigerator, dubbed Nanma Maram, which translates to “virtue tree” or “tree of goodness,” is stocked with food from the restaurant and local donors. Pauline’s restaurant staff stocks the fridge with 50 packets of food each day, and she estimates that local donors leave as many as 300 packets of food in the refrigerator daily. The refrigerator is accessible 24 hours a day, seven days a week. Anyone who needs a meal and can’t pay for one has access to the unlocked refrigerator. This eliminates the shame of hungry people having to beg or search through garbage for food, as they can simply open the door and take what they need. Hunger is a worldwide problem; approximately one out of every nine people on Earth, or 795 million people, do not have enough food to adequately nourish their bodies. Most of the world’s hungry live in developing countries, with two-thirds of them concentrated in Asia. One in four people in Sub-Saharn Africa are undernourished. Around the globe, poor nutrition causes 3.1 million children under the age of five to die each year, which accounts for around 45 percent of all deaths in this age range. 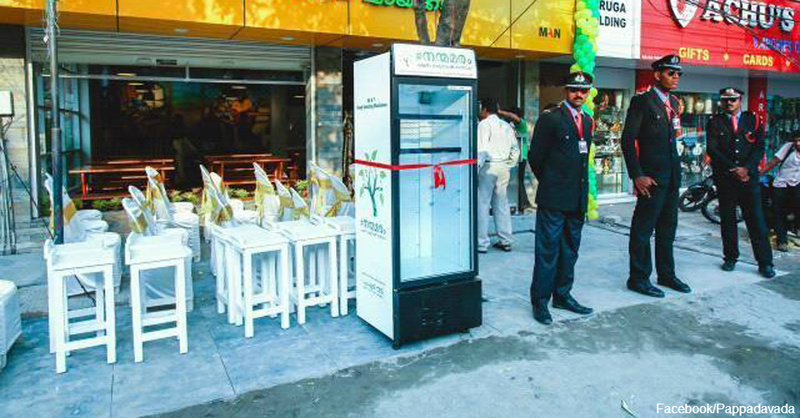 Although the Nanma Maram refrigerator in India is an innovative solution to fighting local hunger, it is not unique. There are similar community refrigerator initiatives around the world, including this one in Galdakao, Spain. Organizers there say that in its first two months of operation, as much as 660 pounds of food was saved from the trash and given to hungry people. Find out what you can do to help curb the hunger problem in your area.